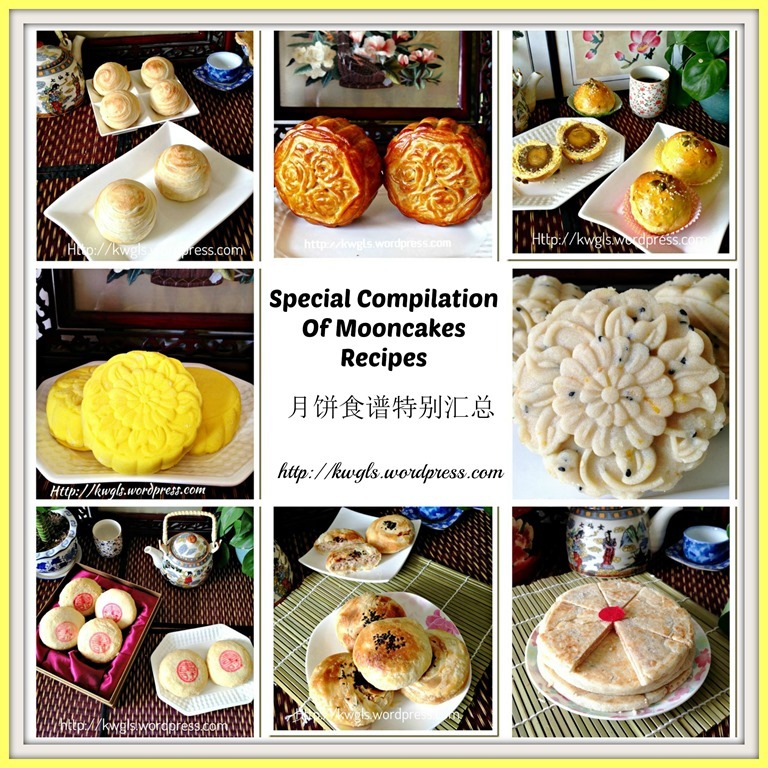 This is a special compilation of mooncake recipes to facilitate readers to locate recipes in the blog and I wish to take this opportunity to wish readers an advance HAPPY MOONCAKE FESTIVAL, 2014. For individual recipes just click on the title or individual recipes to go the respective posts. I hope that this compilation helps the readers to locate the recipe and I would also like to take this opportunity to thank all the readers for your support. The blog reached a milestone of achieving its one millionth (1,000,000) readership yesterday since it was set up on May 2013. Thank you and much appreciate. Without all of your support, I will not continue the blog until today. 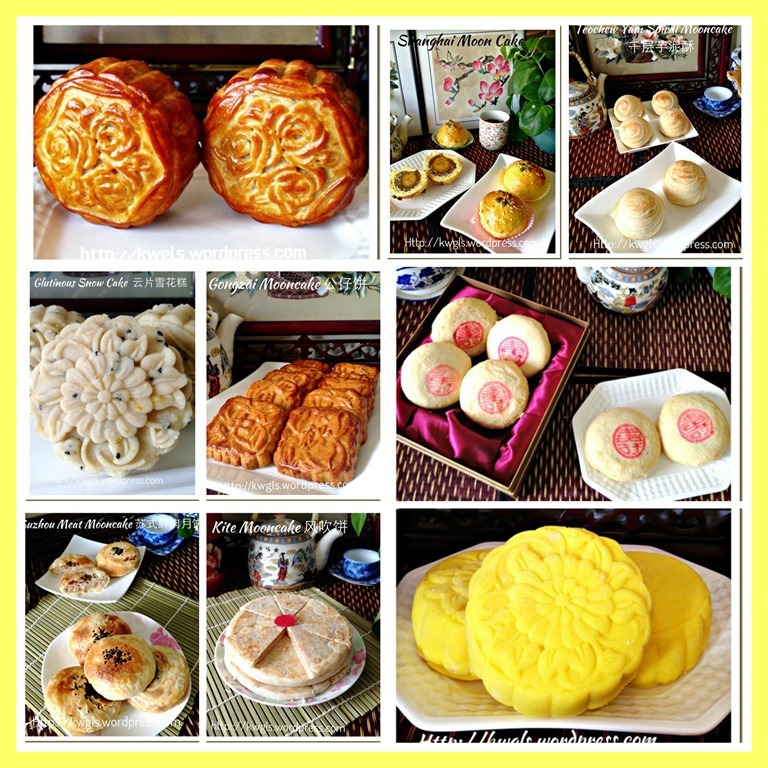 This entry was posted in Chinese and Asian Cakes and Snacks, Food Preparation Series, Special compilation and tagged 8, GUAI SHU SHU, Guaishushu, kenneth goh, moon cakes, MOONCAKES, postaday. Bookmark the permalink. Very good to see this Kenneth Shifu ! Always very traditional makan you have posted. 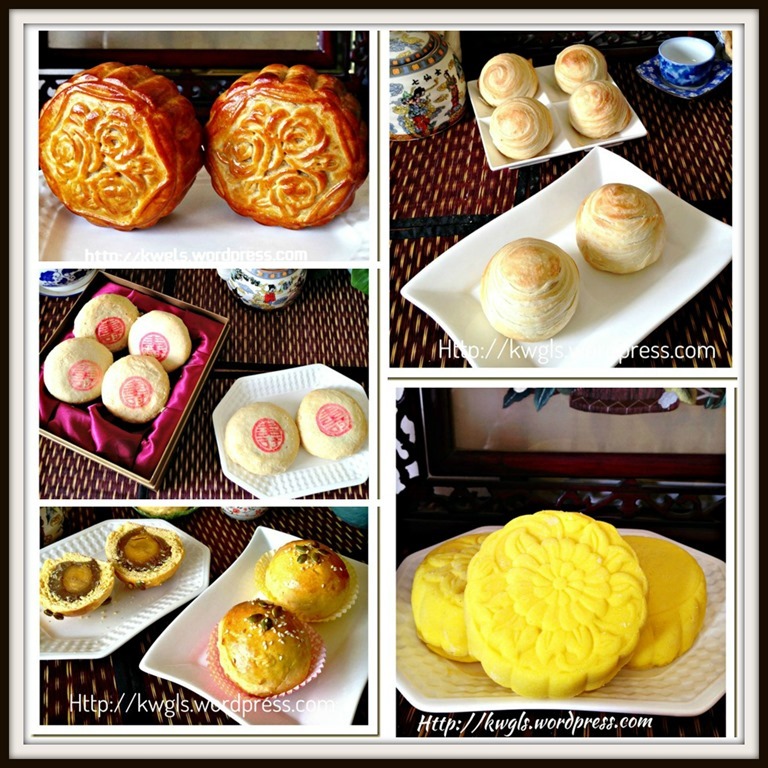 If you have more snow skin moon cake recipe, especially different filling, usch asa chocalate etc…. that’s even better. Loved reading your post, beautiful photos and clear instructions.. thanks a lot for sharing your recipes. Kenneth, may I check with you how did u make your mooncake lotus paste? Would like to have your recipe again please? Thank you. Hi Sifu Kenneth, yesterday I had made the first attempt mooncake with your recipe! So happy….. SUCCESSFUL. Keen to move on but somehow couldn’t find the mung bean, red bean, lotus seed n Wu Ren paste filling. I remembered you had posted sometimes ago. Can Sifu please guide me where can I locate it! Thank alot.